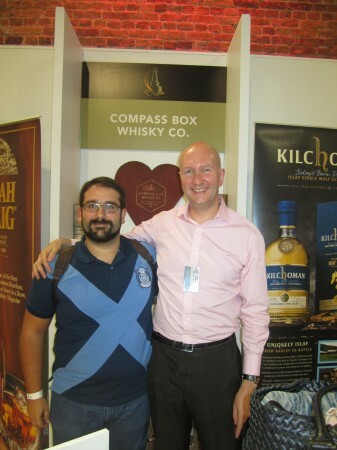 Read stories about Cooley of A Wardrobe of Whisky blog. Today I review a blended whiskey from Ireland, created by Cooley distilleries. Millar's is a blend of malt and grain whiskeys from the Cooley distillery, matured in first-fill bourbon casks. Nose (88): more than average. honey, citrus, floral, wood, corn, vanilla, cinnamon. Sweet, very Irish with a touch of woody cinnamon aromas. Palate (84): light. honey, wood, floral, green banana, pears. Finish (84): average. wood, floral, spices. So based on other whiskies I have already tasted I rate this Millars Special Reserve Blended Irish Whiskey with 85 points over 100. The nose is fantastic. It is two steps above the standard cheap Jameson. I am not much into the blends but this one is a good option. Yesterday we make some noise at Twitter. Steve Rush of The Whisky Wire invited me and around 20 more whisky lovers to a great blind tasting proposal: Glory of the Grain Tweet Tasting. If you have tasted them I can no longer conceal the secret so anyway, let me show you what we tasted blindly. It was quite fun and surprising because all but one of the samples were guessed by someone. My nose isn’t so skilled on grain whisky. Pity!. What? Not today? Damn! Hell, anyway… like if we need an excuse to have a good whiskey!. 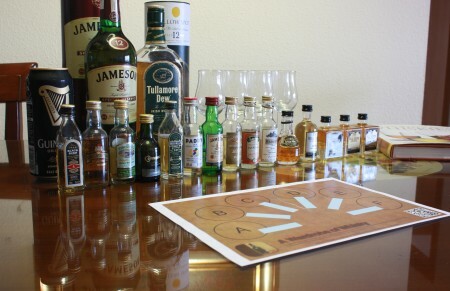 As my contribution to the Irish whiskey let’s do a whiskey walk around Ireland. And as Sjoerd has told me several times I better state it right here and now: I love Single Pot Still Irish whiskey ( I just can’t stand their cheap blends ). Created by Cooley distillery, the last of the Irish independent distillers before Beam Global bought them. This Tyrconnell whiskey was aged in American oak before being finished in Port wood, this Tyrconnell offers a great balance, with lots of jammy thickness. Nose (84): more than average. honey, fruits, plums, custard, vanilla, wood. Palate (88): smooth, powerful, oily. honey, plums, liquorice, floral, spices, pepper. Finish (85): average. honey, spices, wood. So based on other whiskies I have already tasted I rate this Tyrconnell 10 year Port Finish with 86 points over 100. A 10 year old from the Cooley distillery and an Irish single malt, finished in sherry casks, this is a limited edition Tyrconnell. Nose (85): more than average. honey, nuts, floral, pears, banana, vanilla. Palate (89): smooth, powerful. honey, nuts, floral, citrus, wood, cocoa, raisins, vanilla. Finish (86): longer than average. nuts, honey, floral. So based on other whiskies I have already tasted I rate this Tyrconnell 10 year Sherry Cask Finish with 87 points over 100. A peaty blended Irish whiskey from Cooley, the last independent owned Irish distillery before it was bought by Beam. Inishowen offers a zesty, rich, smoky flavour. 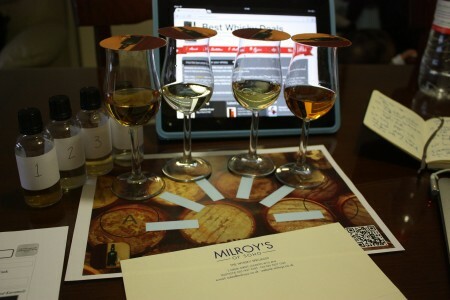 Highly commended by critics, including Jim Murray who gave a previous batch 93 points. If you like this blended whiskey, you should try the Connemara single malt, peated whiskey with an Irish touch. Nose (85): more than average. honey, floral, citrus, vanilla, wood. Sweet but simple. Lacks of any complexity. Finish (86): average. honey, licorice, vanilla. So based on other whiskies I have already tasted I rate this Inishowen with 86 points over 100. Now that St. Patrick day is getting nearer, you need to get ready for it! Stock Irish whiskey before they drink it all. 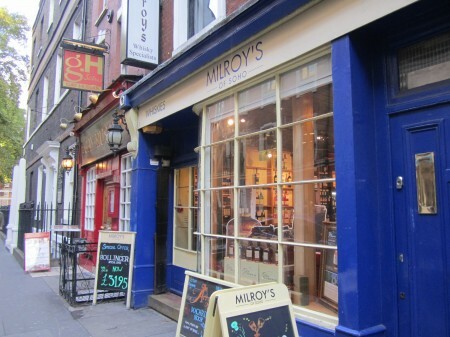 You would like to check The Whisky Exchange offers on Irish whiskey. This past Wednesday, March, 7th, we had another great twasting (twitter tasting) night with Steve Rush, from The Whisky Wire, and Noel Sweeney, who works as master distiller in Cooley distilleries. The tasting proposal was Kilbeggan, Tyrconnell Single Malt, Greenore 8 years old and Connemara Single Malt Peated Irish Whiskey. I have tasted them on the past, but it was a nice chance to have then a new look and see how this young distillery is progressing, now under the hand of Jim Beam. If you are new to Irish whiskey, know before hand that they craft whiskies in a different way of Scotch and that the aroma profile is different, more dry and floral usually. And Cooley has been making great marks on most international competitions. We started with Kilbeggan, a blended irish whiskey, after some initial confusion about starting with Greenore 8 years old. My previous date with this Kilbeggan wasn’t exactly nice: light whisky, floral and dry. Well, I have to say that although Kilbeggan isn’t yet my kind of whisky it is a big improvement over the one that I tasted two years ago. Kilbeggan Irish Whiskey first appeared as a John Locke's brand over 100 years ago and was sold successfully until Locke's distillery ceased production in the 1950's. Locke's distillery is the oldest continuously licensed whiskey distillery in the world dating back to 1757. This whiskey is now distilled by Cooley who recently released a version of this whiskey distilled at the Kilbeggan distillery. Nose (79): average. honey, vanilla, floral, mint, toffee. Palate (85): light, smooth. honey, malt, wood, pears, spices, floral. Finish (83): average. peat, floral, honey, spices. So based on other whiskies I have already tasted I rate this Kilbeggan with 82 points over 100. Tyrconnell is named after a race horse that won a race with odds 100:1 and it is a single malt Irish whiskey. Last time I tasted it, I was greatly impressed, a very nice single malt. This new version seems somewhat younger with a strong Cooley fingerprint: floral notes and spices. It is a good whisky but not as good as I remember. The Tyrconnell Single Malt Irish whiskey is characterised by its elegant and balanced taste profile. It retains the smooth, sweet taste normally associated with Irish whiskey but with its own distinctive character. The result is Tyrconnell's beautiful fresh, malty, fruity bouquet, smooth sweet taste and delicate dry finish. One of the most celebrated Irish whiskeys ever produced winning a gold medal at the Great Taste Awards in 2009 , gold medal & best in class at the IWSC 2009. Nose (84): more than average. honey, vanilla, fruits, raisins, biscuits, cinnamon. Palate (85): light, smooth. honey, floral, herbal, green pears, spices. Finish (83): longer than average. floral, wood, honey. So based on other whiskies I have already tasted I rate this Tyrconnell Irish Whiskey with 84 points over 100. If Bourbon and Irish whiskey ever marry their daughter would be like this! I like a lot this whiskey, unique in its category: single grain irish whiskey. It is a very nice grain whisky, but after rating George T Stagg or some of The Clan Danny jewels I have a different, better, point of view. Nonetheless I enjoy this one. Greenore Single Grain is a truly unique whiskey as it is the only expression of Irish Single Grain whiskey in the world. Single Grain whiskeys are very rare as most grain whiskey is normally mixed with Malt whiskeys to make Blended whiskey. Grain whiskey is made from maize/corn and provides a lot of the smoothness people associate with Irish whiskey. Think of this whiskey as the nose of a bourbon and the taste of irish whiskey. Right! Just delicious. Nose (86): more than average. citrus, honey, pepper, floral, fruity, papaya. Palate (87): light, smooth. honey, citrus, wood, pepper, spices, mango, papaya, vanilla, corn. Finish (85): longer than average. honey, wood, spices, corn. So based on other whiskies I have already tasted I rate this Greenore 8 year with 86 points over 100. Finally we had the only peated irish whiskey, Connemara. We tasted the NAS expression that, without being in the level of Islay monsters, is a rather interested peated whisky with notes of herbs and banana. Only for peat-heads. Connemara produce a peated Irish single malt, named for the area in Ireland. Distilled at Cooley distillery in Cork, Ireland. 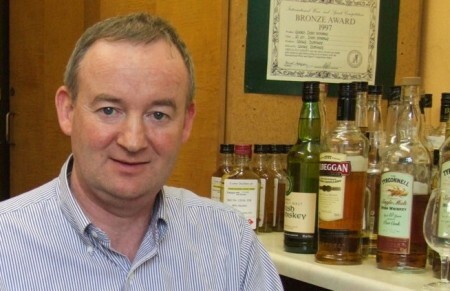 The last of the independent irish distilleries before it was bought by Beam Global. Connemara is a peated whisky, not in the style of Islay peat monsters but more like the Japanese Hakushu. Smoky and slightly peated with an awesome amount of fruits. It won't disappoint you. Nose (86): more than average. peat, fruits, floral, citrus, bananas. Peated but overall this irish whiskey smells very fruity. Palate (87): powerful. peat, spices, coffee, fruity, banana. Lightly spiced peat. Finish (87): longer than average. peat, honey, wood . So based on other whiskies I have already tasted I rate this Connemara with 87 points over 100.